Rip rust out by the roots! These specially formulated rust removers / rust inhibitors are safe for the environment, gentle on surfaces but tough on rust. And they are now available here at ultimatewasher.com, your one stop shop for CLEAN! These rust inhibitors / removers penetrate into every void of a metal surface and dissolve the rust / oxidation through chemical action. This then creates a rust-inhibiting coat with the surface molecules of the metal to resist future rusting or oxidation. 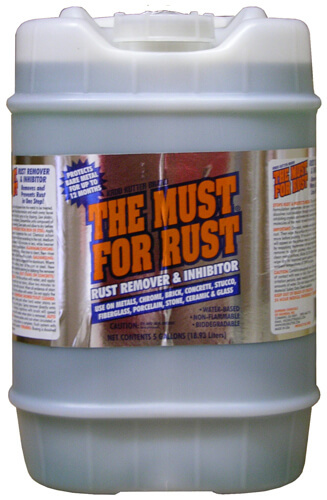 Rust Remover and Inhibitor in One. Removes and Prevents Rust in One Easy Step! Simply Spray on and watch it work. Ideal for painting when dry, accepts any primer, paint, coating, etc., and provides a clean surface free of contaminants, which allow a secure bond for coating. Can prevent rust for up to 12 months on bare metal. Dilution ratio: 1:1 or 1:2 – Coverage: 50sq. feet per quart; 200sq. feet per gallon. Eliminates paint pealing, chipping, blistering, and other adhesion problems. 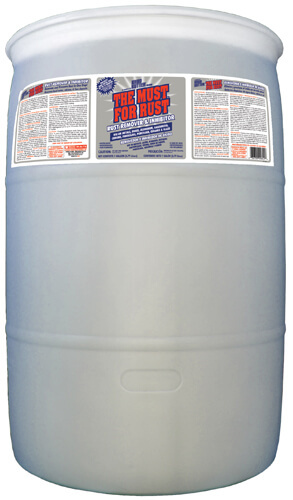 Effectively removes all rust, resulting in a bare metal surface free of contaminants and ready for coating. No harmful fumes; can be used indoor without the need for heavy ventilation.